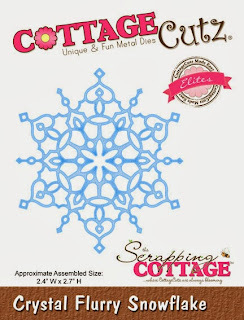 Hello everyone and welcome to my CottageCutz Design Team project. What I have here is a four matchbox drawer tag holder. For the focal point, I used the Winterland Village Die, for the bottom lace, Fancy Lace Border, and for the accent under the pointsettia, Crystal Flurry Snowflake. 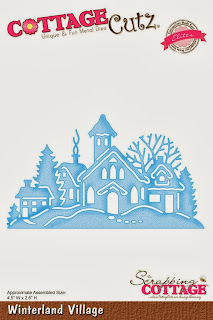 The Winterland Village was distressed with Tea Dye Distress ink and then glitter with a pretty shiny glitter. The poinsettia are from the Michael's Dollar bin from last year. I put a little extra stickles on them. The Pearl bling is from Want2Scrap. 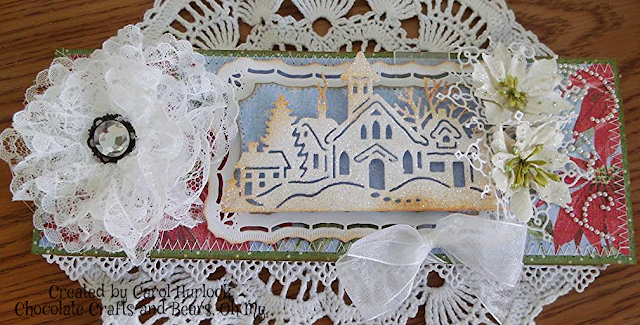 This measures 9-3/4" x 3-1/2 inches. 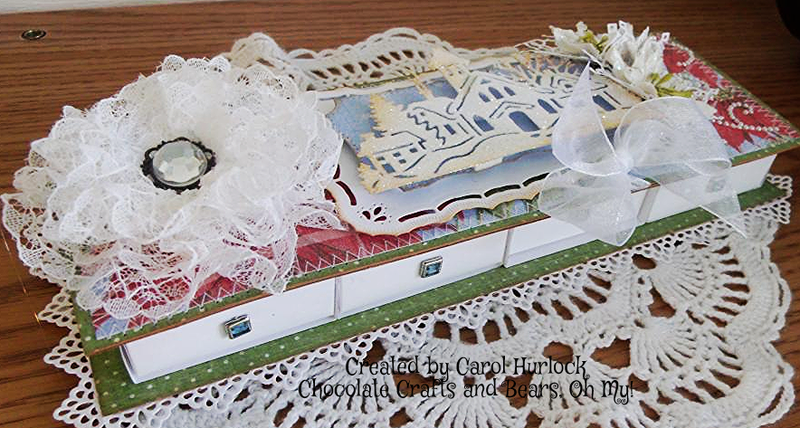 For the top and bottom use some light chipboard such as cereal boxes to give a bit of strength to your project. Be sure to cover both the bottom of the top cover and the bottom of the project. This box was inspired by one that I pinned from this site. The drawers are filled with tags from the Homemade Christmas Giftset. 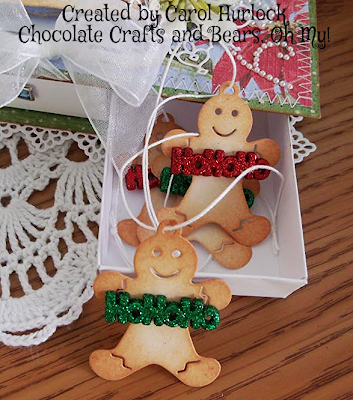 Here are the Gingerbread, distressed with Tea Dye Distress Ink and holding a little Recollection HoHoHo sign. Aren't they cute! In this drawer there is a set of mittens with a little Holly accent. 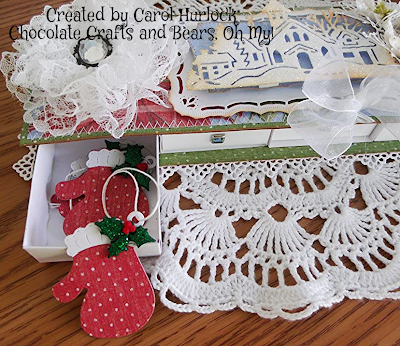 The mittens were cut with red cardstock and then little scraps were cut again to make the cuffs. In this drawer are the snowman. They have been accented with little Recollection Snowflakes. The hats were cut with scrap black cardstock and adhered. In this drawer are the sweet Christmas Trees. They have a little seam binding bow tied at the top. In each drawer there is a set of 4 tags, but it could easily fit more. Don't you think this would make a fantastic gift to a special friend. 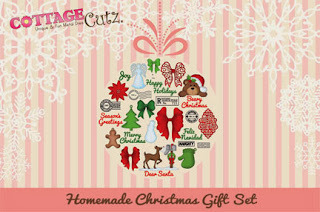 Fill it with these adorable tags and she will love you for taking care of her gift wrapping needs. 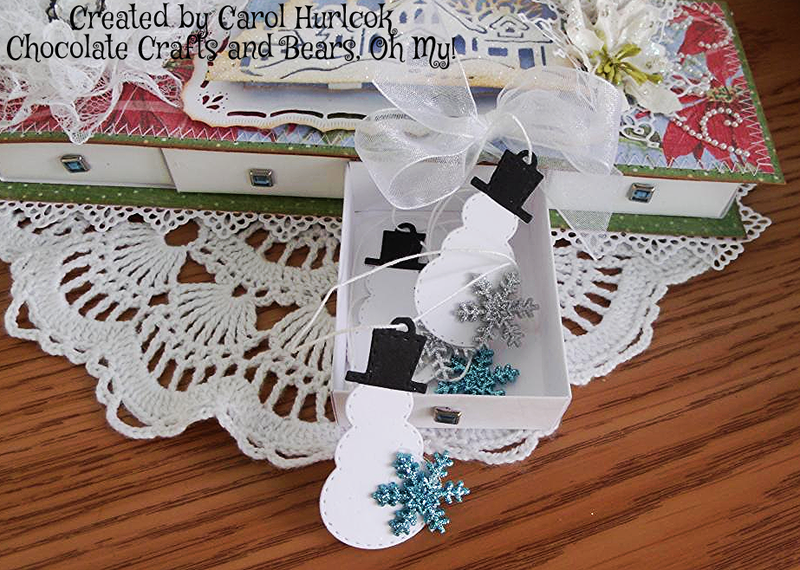 The tags are housed in such a pretty container that can be used over and over again. Thanks so much for viewing my project. I really appreciate it. See you soon. 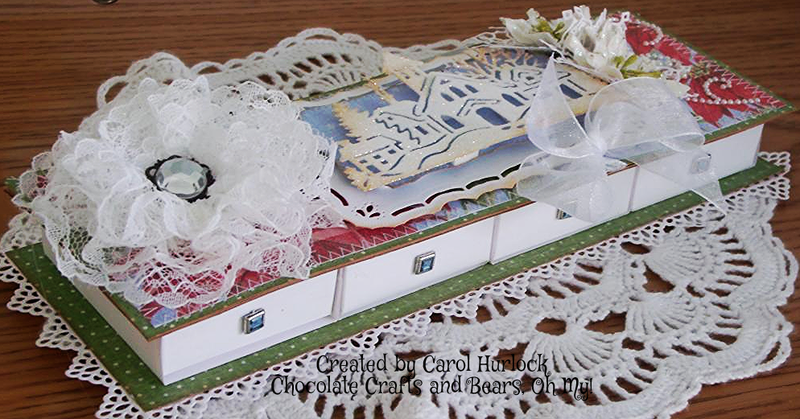 wow this is gorgeous Carol beautiful made great gift box. 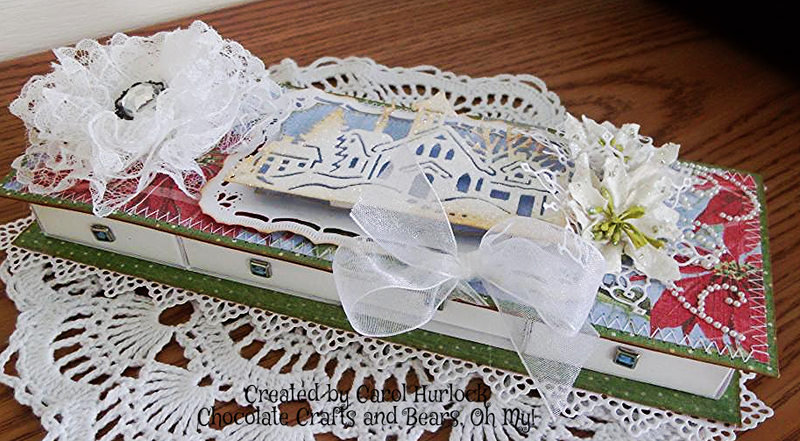 A beautiful gift box!! 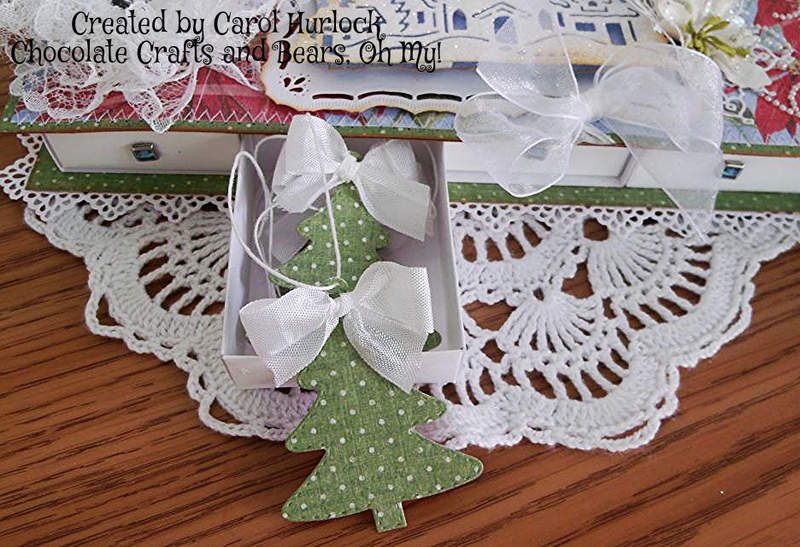 Just love the dies you have used:-) Super cute tags!! Have a lovely Sunday! Hugs Laila. Ooh, Carol, love the four matchbox drawer holder and the tags inside are just adorable. You're the most creative crafter on the planet. That lace flower is just a beauty. Always love church dies. Have a wonderful Sunday. Carol, this is such a great project! Beautiful dies, lovely shading, lots of bling and sparkle, and totally cool box! This would make the best gift with all those sweet tags. You are Amazing and inspiring! Love this! Hugz - millions of them - loved your comments on my blog - just sent you an email. I sure hope you were serious! 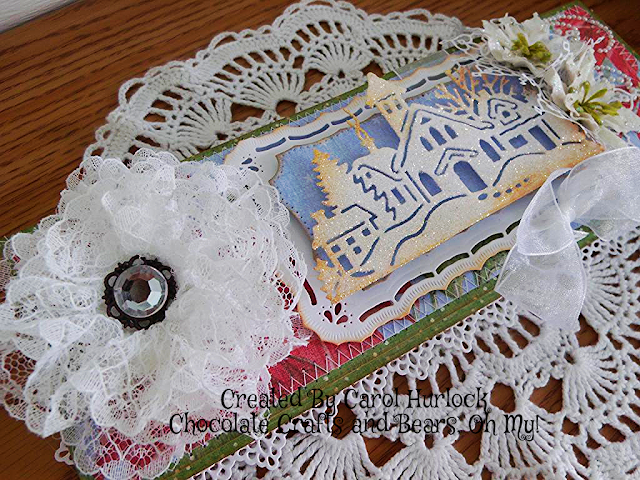 Beautiful project Carol. The drawers are so clever, and the tags in each are darling. You never fail to WOW us!!! This is just gorgeous! Amazing project!! Love everything about it! !